The difference between those who are successful and those who are not, is how they deal with stress. Successful people know that when they are under a lot of pressure, the quality of their work suffers. So they have developed many ways to calm down to continue succeeding at whatever they do. Here are seven ways these people relieve stress whenever it strikes. Successful people remind themselves how unimportant the event is in the big scheme of things. If you look at obstacles that are on your way as opportunities for success, and tough assignments as chances for you to demonstrate to the world what you are made of, then negative feelings cannot influence your thoughts. All you need to do is be confident in your ability to slay whatever trouble lies ahead of you. You are set to relieve stress and defeat it with this mindset. When stress claws successful people, they allow themselves to realize how ridiculous the whole stressful situation is – and laugh. They do NOT permit negativity to cloud their thinking. Research studies have shown that laughing whenever feeling assaulted by the demands of life stimulate blood circulation and enhance muscle relaxation, all of which help decrease many physical symptoms of stress. The ability to laugh at tough situation also helped people to look at their own mistakes and failures with kindness and understanding. This allows them to be happier, more optimistic, and less depressed. Most of us think that we need to be harsh on ourselves so as to be able to perform at our best. But this concept is totally wrong. You need to keep in mind that to err is human. Be merciful to your own self at all times. Successful people understand that they can relieve stress by challenging their brains. There’s Sudoku, a brain teaser that causes people to use mathematics and logic to finish the square. This game has easy and impossibly hard levels and offers an unending supply of levels for you to try. Putting together puzzles is another funny way you can challenge your brain and keep stress away. Soma cube is made of 27 cubes and has been split into seven entirely unique pieces. It’s a common puzzle that you can try. Soma cube is well-known for its use in psychological and intellectual experiments and to improve brain function. The ability to complete this puzzle in tests gives remarkably accurate insight into an individual’s intelligence. Whether you use soma cube puzzle as a social activity or as a way to decompress for a day, the more you engage your brain in the puzzle to solve it, the less stressed you will feel. Most people know that the major causes of stress in their work life are things such as deadlines, bureaucracy, terrible bosses, heavy workloads, and more. Having to make too many decisions is surely a major cause of stress, but a majority of people often do not mention it. Every time we make a decision, whether it is about hiring a new worker, when to finish particular tasks, or when to schedule a meeting with a client, we experience some tension in our brains that is stressful. Successful people know the solution to this problem. They reduce the number of decisions they need to make by using routines. If there is anything these people have to do every day, they plan to do it at the same time daily. You can have a routine for preparing for your day in the morning and for packing up to go home at a particular time every evening. By having simple routines, you drastically relieve stress levels. If you have a to-do list and just a single day passes by without any item getting checked off, you may surely get stressed up. What you need to do is get the things done at the right time. This calls for if-then planning, also known as implementation intentions planning. If-then planning is a really powerful way to help you prevent stress. Approximately 200 research studies on everything from time management and negotiation, to exercise and diet, have indicated that making a decision in advance, when and where you will complete a particular task, can significantly increase your chances of actually completing it with less stress. Successful people take the tasks on their to-do lists and add a specific time and place to each of them. For example: instead of “I will call John,” they say, “If it is Wednesday afternoon, then I will call John.” If you plan this way, you will be able to seize the critical moment and make your calls at the most appropriate moments, even when you are busy attending to other things. Doing something interesting can help you relieve stress. The activity doesn’t matter, as long as it interests you. A psychology study shows that this keeps you going despite fatigue and replenishes your energy as well. 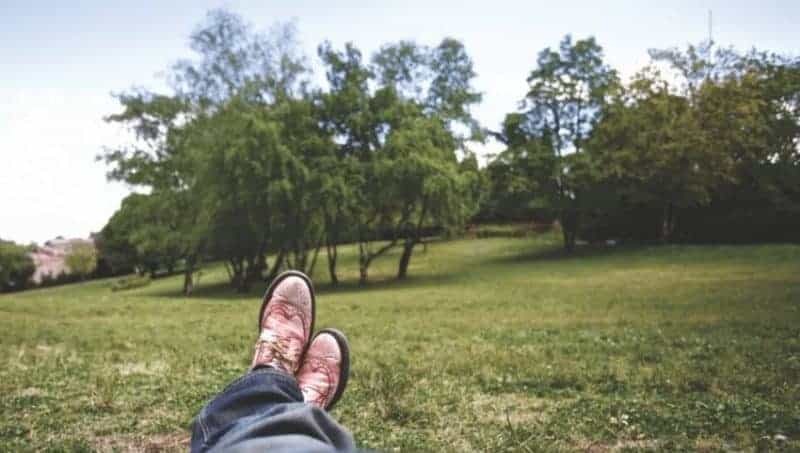 Before applying this strategy, it is important to understand that interesting and relaxing are NOT the same things, though they are not mutually exclusive. Taking lunch break, for example, might be relaxing. However, unless you are eating together with some of your great friends or family members, or in a particular restaurant, the lunch break probably will not be interesting. For that matter, the event will not replenish your energy. Also, interesting does not mean effortless. The same research cited above shows that interest replenishes energy even when the interesting task is difficult and requires a lot of effort. Thus you do not have to take it easy to replenish your energy. In the face of stress, “small wins” keep successful people going. It is not often whether they have attained their goals, but the rate at which they are moving from the place they are today to the place they want to be, that determines how they feel. It can be very helpful to take a moment to reflect on what you have achieved so far before allowing yourself to focus on the challenges that remain ahead. You can use a few or all of these ways to calm down and feel the same benefits that successful people experience. Though there are many strategies, these seven are enough to help you avoid burn-out. With the New Year, you might start by creating some if-then plans for dealing with your busy schedule. Do tell us if any of these tips helped you relieve stress on your way to more success.